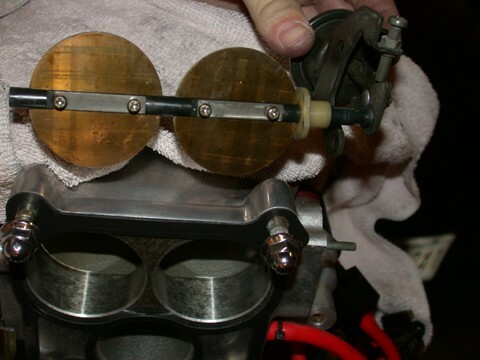 There were a few things to do to the throttle body and throttle plates also. Short of getting the UIM and LIM intake runners Extrude-honed to smooth flow I did want to improve the flow through the throttle body itself. 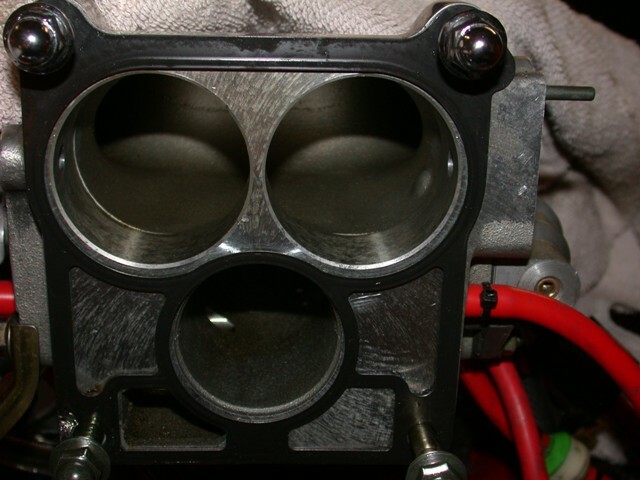 Looking at the throttle body, the interior aluminum had a rough sand cast finish and the throttle bore separators were relatively thick and had almost blunt leading edges. Out came the Dremel tool and I smoothed out all the throttle body bores and knife-edged the leading edges of each bore runner. The interior was then polished to get the best result. I did NOT enlarge the bores, as this would have meant new throttle plates. 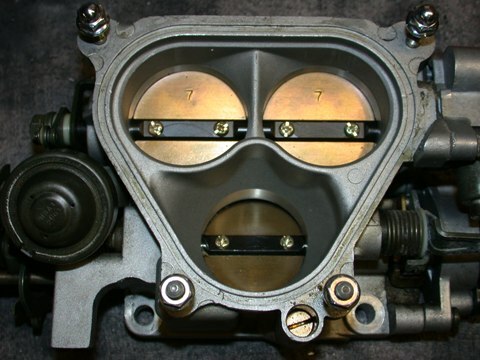 I just smoothed the flow into the throttle body bores. Will this net any power increase, questionable, but it certainly can’t hurt. Oh and I polished the exterior of the throttle body while I had the buffing wheel warmed up. A new Throttle body O-ring was fitted also. I had had the TB off and on so many times before a new O-ring was in order. 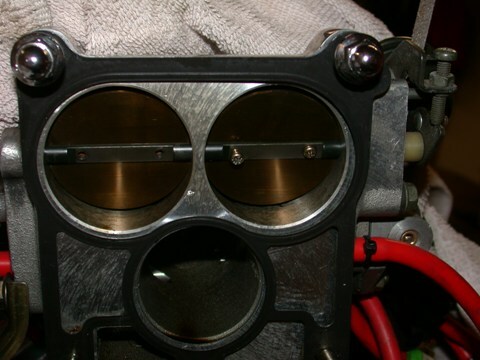 The throttle body throat before cutting. Note the blunt leading edges. Attack the metal with my dremel tool and the blunt edges are knife-edged and the corners were smoothed. The result was polished (see above). After the removal of the double throttle control butterflies the intake runners are nice and clear. The FD has two sets of throttle butterflies in the secondary intake runners. One set is to modulate air intake via the gas pedal under large gas pedal movement (your traditional throttle plates found in the throttle body) the second is to stop large amounts of air entering the engine when it is cold (which are found in the upper intake manifold). This is a fail-safe device, called the double throttle control, to stop Mr. Numbskull from going WOT on a stone cold engine and causing premature wear and possible mechanical damage. These secondary butterflies, once the engine is up to normal operating temperature, stay wide open. They serve no other purpose. In fact, it is another complexity that can be removed in the interest of simplicity. Their removal eliminates a potential flow restriction or object that could introduce flow disturbance in the intake flow. I would like to consider myself as not falling into the category: Numbskull. Therefore the double throttle control had to go. 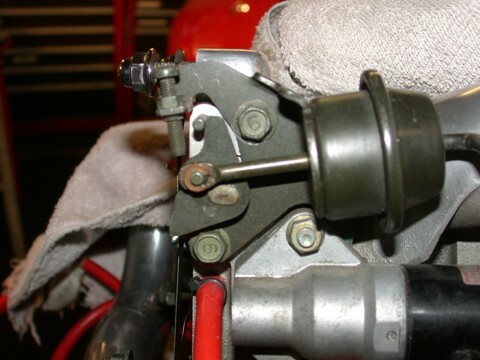 This was as simple as unbolting the control dashpot from the backside of the UIM, removing the throttle plates from the “axle” by unscrewing the small brass screws, and sliding out the axle and attached hardware. I fabricated a block off plate (with a gasket) to cover the axle hole in the backside of UIM where the actuator was. With the assembly removed the control solenoid can be removed also and all the wiring for it was weeded and removed. Simple and clean. Break free the butterfly screws and the assembly will come out easily. The control mechanism and dashpot to be removed. The butterflies and control assembly fully removed. The one thing I did keep, and some may call me foolish, was the throttle body coolant lines. 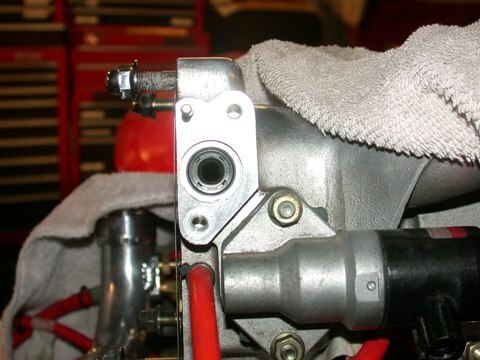 In fact I drilled and tapped the throttle body to accept braided SS lines to and from the water pump housing and the rear block iron. I may just end up removing it later but for now it stayed. 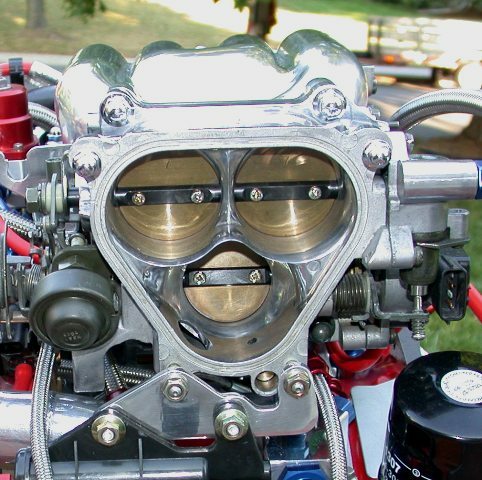 Rebuild and porting of the 13B short-block to include port matching the intake side. Custom baffled deep well aluminum oil pan. Installation of dedicated 2 stroke oil feed system. Replacement of all the fuel system lines with SS braided hose and AN fittings – tank to engine. Installation of a dual fuel pump arrangement with fuel tank baffle box cover. Simplification and rebuild of the engine wiring harness and removal of all un-used control solenoids. 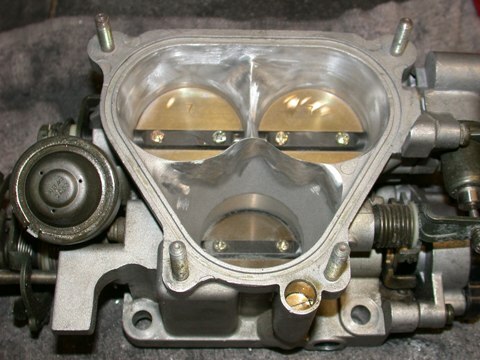 Porting and polishing of the throttle body and removal of the double throttle control assembly. Turbo “improvements” to fix lower grade hardware and potential trouble areas. Installation of 3 Bar MAP sensor and tuning for higher boost applications. Disclaimer: All images contained on this page are the sole property of C. Regan.